Julie Montagu Julie Montagu is an absolute powerhouse, with an astonishingly busy life as a yoga teacher, nutritionist, bestselling author, holistic teacher, Royal Wedding presenter, face of a natural beauty brand, and mum of four. 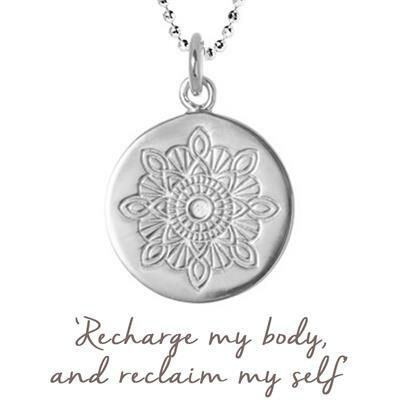 She has designed her beautiful mandala logo engraved and then cast onto the front. A mandala represents wholeness and completeness, and symbolises your place in the universe.